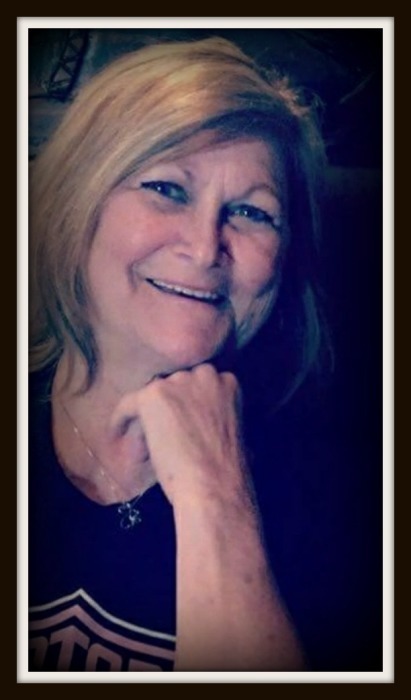 Marsha Stinson Webb, age 64, of Munfordville, KY, passed away Friday, November 23, 2018, at her residence. She was a retired seamstress with the Louisville Bedding Company. She was the daughter of the late Robert Stinson and the late Edwina Stinson and wife of the late Larry Webb.She was also preceded in death by two grandchildren, Zachariah Cook and Christian Cook, and two brothers, Joe and Cleatus Stinson. She is survived by three daughters, Natalie N. Williams, Glasgow, KY, Abby L. Webb, Munfordville, KY, and Ashley Lowe and husband Andrew, Clarksville, TN; three grandchildren, Annika L. Lowe, Anderson W. Lowe, Mallie Williams; fiance, Gary Tennyson, Munfordville, KY; nine sisters, Janice Cottrell, Kaye Taylor, Martha Myers, Mary Davidson, Sherry Roberson, Tammy Stinson, Athenette Thompson, Carolyn Gibson, Linda Clark; six brothers, Charlie Stinson, Roger Stinson, Larry Stinson, Percy Stinson, Jimmy Stinson, Delma Stinson. The family will receive friends from 11:00 a.m. until 8:00 p.m, CT on Monday, November 26, 2018, and 9:00 a.m.-1:00 p.m. Tuesday, November 27, 2018, at Brooks Funeral Home. Funeral service will be 1:00 p.m., CT Tuesday, November 27, 2018, at Brooks Funeral Home with Bro. Jeremy Glaab officiating. Interment will be at Munfordville Municipal Cemetery, Munfordville, KY. Condolences may also be expressed at www.brooksfuneralhomeky.com.